I am looking for clarification regarding PICC placement when the patient has a known history of DVT in the arm. I am aware it depends not only what vein the clot was in, but where in the vein that clot formed. The question is, does this present a contraindication to using the other arm since the patient is prone to thrombus formation? Lots of studies out there regarding PICC related thrombus, but not really a definitive answer on this specific aspect. When did first thrombus form and what caused it? Recent? Another PICC? This is not an absolute contraindication. The answer lies in your complete assessment of patient, therapy, venue, and VAD characteristics. All of this should point to the VAD with the least risk of another thrombus. Without all the data from an assessment, it is not really possible to tell you what to use. I find that the policy of staying away from any extremety with any mention of a clot prevails. I, myself, never could wrap my head around WHY that policy exsists or in not a policy, a sentiment shared by VAT's. I'm happy to see you address this. Thanks, been teaching this for a long time. Can we have a clearer picture of what to do when there is a history of a DVT? some are saying its ok to place a picc when pt has a history of a dvt in either upper arm, I thought it was against the standards to do so? 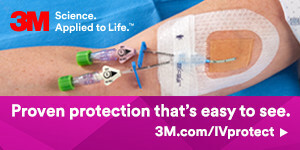 What if they have a RIJ DVT, can you safely place a picc on the left arm? Or in the subclavian, how are we to know if the clot extends even further into the SVC? Well there is no definitive answer. I would urge you to read the INS Standard CVAD Associated Venous Thrombosis. But this does not address thrombosis from other causes. Your knowledge of thrombotic causes plus your patient assessment guides your decision about placement of any VAD with or without a known thrombosis. There is no way to provide a clear picture as that answer may not be the same for all patients.